Salvia is a plant with powerful hallucinogenic properties that are commonly recreationally abused. However, it can cause a number of dangerous long- and short-term side effects. In addition to spiritual uses, salvia is recreationally used to achieve hallucinations. Some have compared its effects to that of LSD, due to salvia’s active ingredient, salvinorin-A, which provides the hallucinogenic effects LSD produces. Salvia is considered a Schedule I controlled substance in some states America, meaning it has a high potential abuse and no legitimate medical purpose, although it is legal to use recreational in others. Salvia is available in the form of a green plant or a liquid. Salvia can be smoked or chewed. The leaves are dried and can be smoked in pipes similarly to marijuana. The result is a 15-minute high with noticeable changes in perception. When salvia is chewed, the leaves secrete chemical components of salvinorin-A, which get absorbed in the oral mucosa. This method creates visual hallucinations and altered states of cognition that lasts from 1 to 2 hours. When in liquid form, salvia can be combined with other liquids. Another common method of Salvia use is crushing the leaves and mixing them into drinks or vaporizing the herb. A salvia dependence can occur due to salvia’s effects on the mind. The active ingredient, salvinorin-A, attaches to the opioid receptors in the brain, acting at the KOR, or kappa opiate receptor site, altering the human’s ability to perceive reality as is. 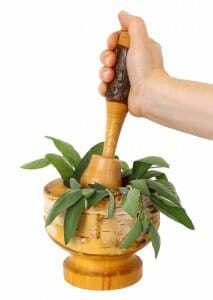 Whether or not salvia is fatally addictive is unknown; however, people may find the herb appealing as it produces hallucinations. If someone uses more than the suggested dosage (if the herb is legal in the individual’s state), this can indicate a problem. For instance, using more than the safe dosage of 1 gram could a show that someone has gotten use to the effects of salvia. Like other chemicals, drug tolerances occur gradually, and often transition into chemical use disorders. A dependence is also marked by someone craving the chemical when they reduce their use. They may feel mild uncomfortable symptoms like irritability and anxiety. To combat these feelings, they may continue using salvia. There are several studies concerning the long-term effects of salvia. Some sources reveal long-term use can lead to problems with cognition, both learning and long-term memory function. Anxiety is another long-term effect of salvia use. Individuals suffering “bad trips” would have problems adjusting to a grounded reality and could struggle with feeling relaxed. In rare cases, some may endure psychotic side effects and trouble re-adjusting to reality in they have abused salvia. If people combine salvia with other chemicals like alcohol or stimulants, there is a higher risk of complication and even overdose. Don’t hesitate to contact a treatment professional if a loved one struggles with this. Because of salvia’s hallucinogenic side effects, many have deemed it dangerous, hence its illegal status in some states. If someone is found using salvia in a state where salvia has an illegal status, they can suffer 5 years of prison time. Salvia is legal in states such as California and Maine. 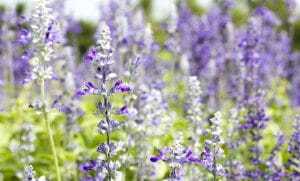 States like Florida have previously allowed salvia use without restriction; however, is has become an illegal substance. Missouri, Oklahoma, and Delaware have ruled salvia as a Schedule 1 controlled substance. Tennessee has declared possession of the plant as a Class A crime as of 2006. Wisconsin prohibits the selling and manufacturing of salvia, punishable by $10,000 in fees. Salvia has potential damaging effects that can last a life time. If you or a loved one struggles to taper use, or finds they needs more to cope, contact a treatment expert today. They can provide helpful details on needed facilities and treatments to help those battling a salvia dependency to achieve sobriety. The first step is to make a call that can change your life.